We are happy to meet up with you and discuss your event and possibly give some advise so your evening run smoothly and your guest have a great time. Our DJ will have his sound system, lighting and a vast selection of music from the oldies to current chart. A good communication between us and you - we will reply to your messages promptly, there is nothing worse then waiting for a reply and not having things confirmed. Our agreement will be documented in the booking form, the deposit will secure the date and the DJ for your event. 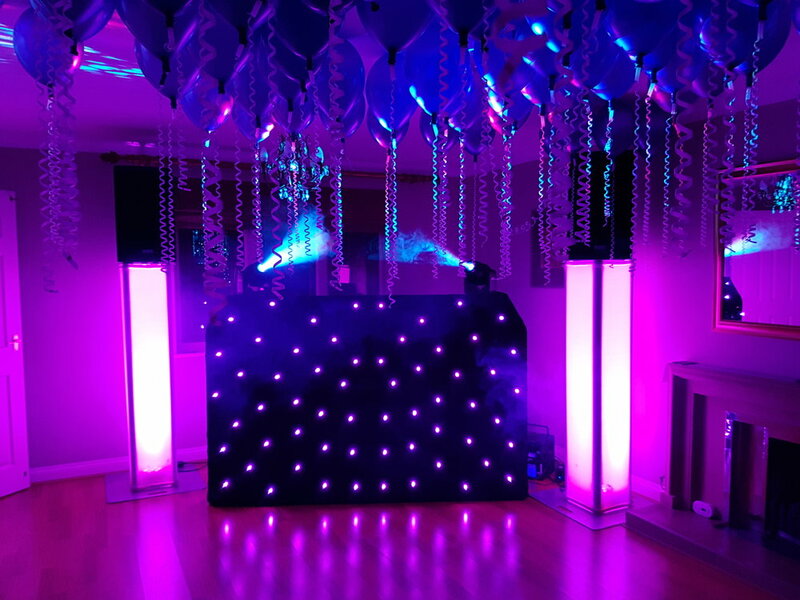 We do not mind where we DJ, if you are having a house party in your lounge, a marquee in your garden, a village hall or a barn(yes that happened)we can set up anywhere as long we have a power! Prices start from £425.00, there might be a travel charge if the venue is outside of 20 miles of Weston- Super- Mare. Why not add something different to your evening, with our Photo Booth you can capture those fun memories. Your DJ is not just someone who presses the buttons! As most parties have a wide range of ages, we aim to play something for everyone. We are happy to work with your playlist and take requests on the night from yoorself and your guests. All of our DJs have got Public Liability Insurance to £10 Million and PAT test for their equipment. If your venue requires to see a copy of it before your event, we are happy to forward it on.